Air Vistara had so far ignored Chennai, focusing on Mumbai, Dehil, Ahmadabad, Bengaluru etc. They were flying to several smaller cities such as Varanasi, Ranchi etc but not Chennai. Finally, after several years Vistara will be flying soon from Chennai. Air Visata will be flying Chennai Delhi from 15th Feb and Chennai Port Blair from 1st March. Vistara is a full service airline and will try to grab some market share from Jet Airways and Air India customers. I have never had the opportunity to fly Air Vistara but friends who flew it had great experience overall. Because their fleet size and market share is small, so are complaints. A convenience fee will be applicable during payment- approx Rs 250 per return flight but may vary based on card type, amount and other factors. 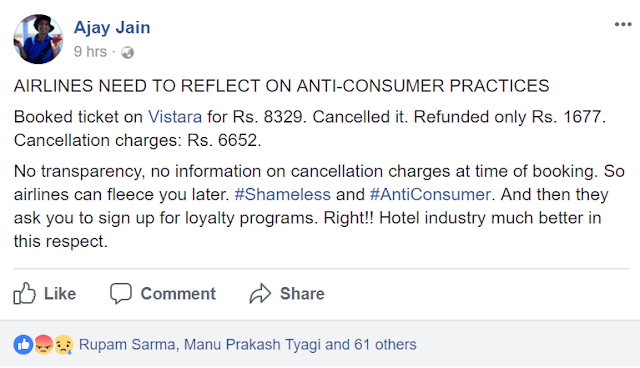 Also check their cancellation policy- you will only get tax component back if you cancel. 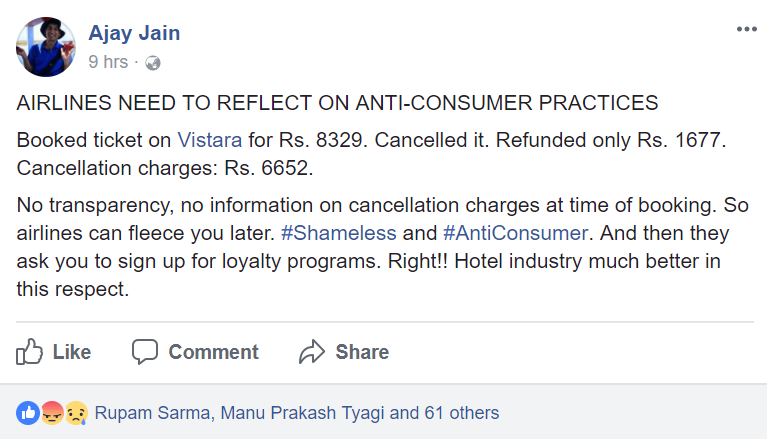 Traveler Ajay Jain had a major disappointment today with Vistara cancellation. These rules are hidden somewhere in their website, not explicitly shown during booking process. Check this post to learn about 10 tips to deal with high cancellation charges. Extending warm welcome to Vistara in Chennai.